Do you want to make your wedding look like a starry affair? If your answer is yes. Well, it can be achieved! All you need to do is get a great wedding decorator and he is sure to make your wedding grand in the truest term of the word. We have a list of the best wedding decorators in Delhi NCR to help you make your wedding a never seen before the ceremony. We have compiled a list of the best wedding decorators in Delhi NCR who will make your wedding look like the one you always dream of. Let’s check it out. 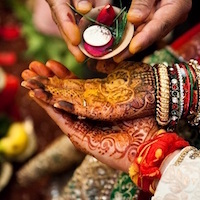 Devika Sakhuja believes that no ceremony is small or big. What matters is to make every moment memorable, be it small or grand. Her company is located in Greater Kailash 1, New Delhi. She knows how to create the right ambience for the celebrations. Sakhuja delivers the best results in your desired budget without compromising on the aesthetic part. Her decorations are divine and can transform a simple place into a wonderland. Located in Jungpura Bhogal, New Delhi The Wedding Design Company is known for its extraordinaire wedding decoration. 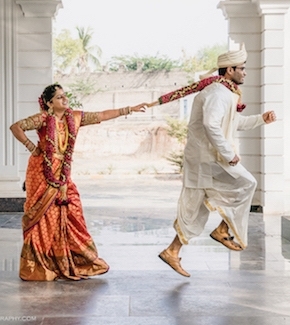 Vandana Mohan who started it has designed some amazing and most brilliant weddings not only in India but abroad as well. Some of the services offered are visual conceptualisation and theme designing that comprises features like the set and textile design, architecture, furniture, lighting and outstanding floral arrangements. Aura by Gautam Vedi is a company which aims at creativity which is the soul of a unique wedding decoration. It offers services like Concept development, Thematic Designs, Accessorising the furniture, Celebrity and Artiste Management. It aims at providing complete customer satisfaction from their unique decorations. In fact, they welcome the ideas from the customers too. It truly creates an excellent aura at the weddings. Located in New Delhi, Delhi, Kashmir Flower House is known for its creativity in floral arrangements. The company has worked in the wedding decoration sector for a long period of time thus, you get the finest work. The company knows how to adapt to the ever-evolving trends of decoration trends and consequently offer what is modern and contemporary. It specialises in Wedding themes, design and floral arrangements. Clique Events & Entertainment is an event management company which is known for creating dazzling wedding decorations with its inspiring services. The company’s sole motive is to organise the events in a way that clients have the most amazing experience. It has the best team comprising experts who not only conceptualise, coordinate and budget but execute the events in the most efficient way. The services offered are Venue management, Professional stage designing, Catering solutions and more. Located in Wazirpur, Delhi, Ferns and Petals Décor is a brand that needs no introduction in the wedding decoration market. Ferns and Petals Decor was established in 1994 and aimed solely at delivering fresh flowers and floral arrangements. As of now, it works nationally and internationally to having tie-ups with the best floral designers. It provides imported glass vases and amazing floral arrangements. The best part is it has something to offer in all budget. 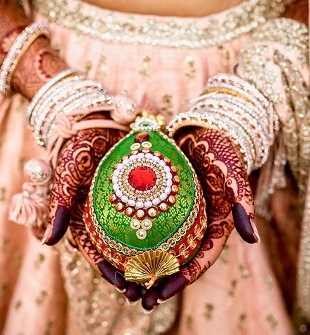 Decoration imparts the first impression when someone arrives at the wedding venue. It is not just about the class but it can turn a normal occasion into a dream. Imagine you go to a wedding and there is no proper lighting? Won’t you feel sleepy? Well, you will. The ceremonies will hardly catch your attention because this is what you see at every other wedding. But the right amount of lighting can create a dramatic effect and can change the overall place into a heaven or hell. Now it depends on what you want. If you found the article helpful, give your suggestions in the comments section below and let us know which wedding decorator you liked the most.